What are the Top CBD and Hemp Oil Creams for Your Face? Not many people are used to hearing marijuana extracts being present in your creams. The idea almost seems bizarre because of its association with its psychedelic effects. As it is not a conventional ailment, it tends to be overlooked, and hence, people miss out on its benefits. What are the Benefits of CBD for the Skin? Cannabinoids, or more commonly known as CBD, are extracts of the cannabis plant and have many healing, pain relieving as well as antioxidant properties. Our bodies have natural CB2 receptors which help the CBD bind with them. This helps in the effectiveness of the CBD cream work faster. It makes it safe enough to use, as it does not enter our bloodstreams, but is used for localized pains. It aids in the relief of pain, and helps to minimize the pain dramatically. It is a plant extract and so the side effects are minimal, since it is a natural ingredient. Pain relief can be found for even the most severe of cases. It can be used as an effective ointment to treat not only muscle pains, but also conditions such as arthritis, bone, and joint pain. It can give relief to areas that are hard to reach such as lower back, neck and even shoulders. These creams are growing in popularity as people are becoming less against the idea of cannabis extract in medicine. CBD creams contain hemp oil that originates from the hemp plant, a cousin of the marijuana plant. It has high anti-bacterial, anti-inflammatory and is rich in antioxidants. The creams can be used for treating cystic acne, damaged skin with hyper pigmentation, and fine lines and wrinkles. CBD creams can combat skin issues like under eye fatigue and puffiness, by minimizing the amount of fluids in the eyes, improving the production of collagen. Acne can also be dealt with as the creams, have ingredients that inhibit the lipid production of the skin cells and speed up the process of healing. Alongside this, the effects of CBD creams can aid in the regeneration of cells, which means scars and pigmentation will not seem to be a problem anymore. No more retinol chemical peels! CBD creams can speed up the process of skin circulation and leave the skin feeling smooth and radiant. CBD creams can also be used to treat painful skin conditions like eczema. As eczema dries out skin, causing painful peeling, rashes and even to some extent, bleeding. CBD cream can treat eczema by treating dryness, and supplying the rash with pain relief while simultaneously healing it. CBD creams have been scientifically known to reduce the risk of the development of skin cancer. While you are reversing aging, you are also preventing it from developing harmful diseases. 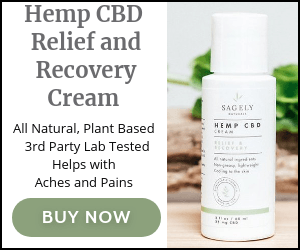 These CBD creams are becoming increasingly more available and can be used to treat all issues that many people experience. Since they are becoming easy to buy, people have started seeing effects in less than four to five weeks. CBD can be ingested internally, but doctors recommend direct skin contact, as it enhances the absorption capabilities, and make it much more effective. Hopefully, by listing all its benefits, CBD creams become more popular as topical ailments.